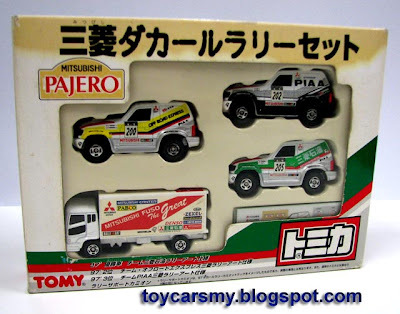 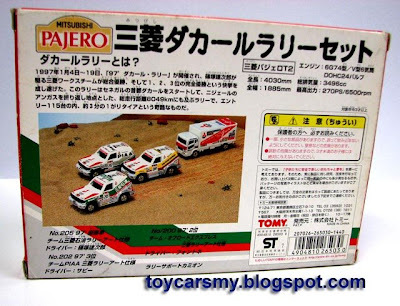 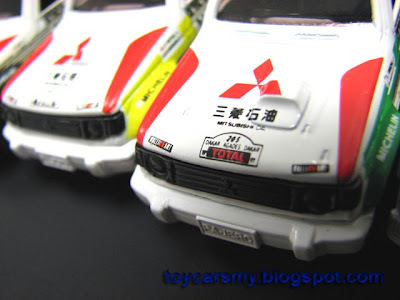 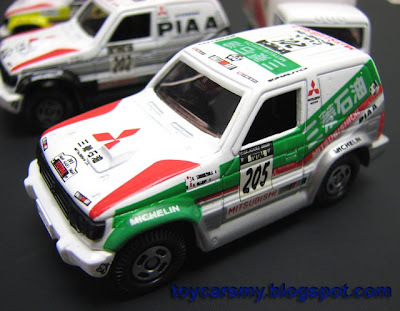 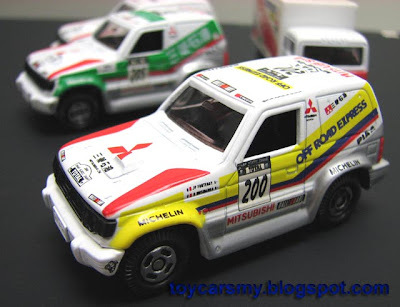 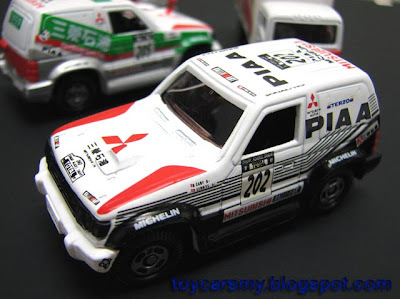 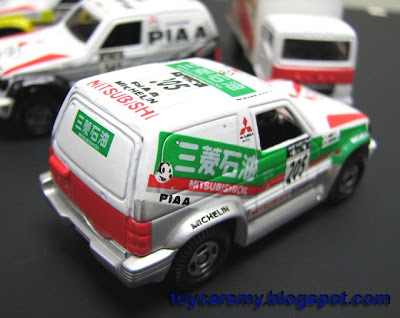 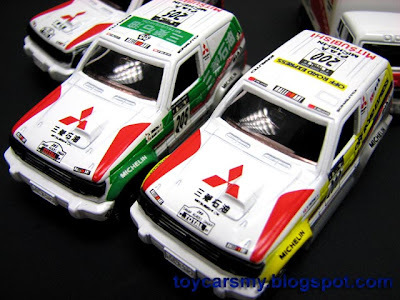 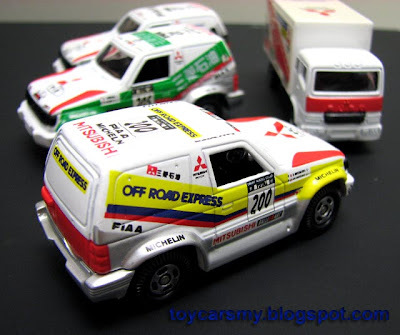 This Tomica Mitsubishi Pajero Rally set was released at least 10 years back. 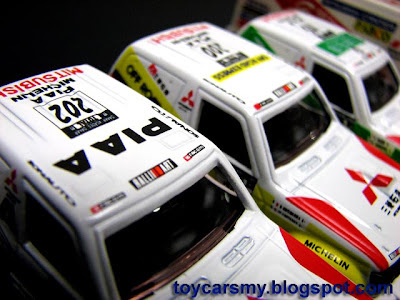 The box set is belong to Ah Beng by accidental hunting at KL area with very attractive price. 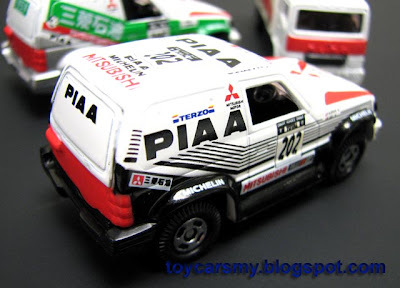 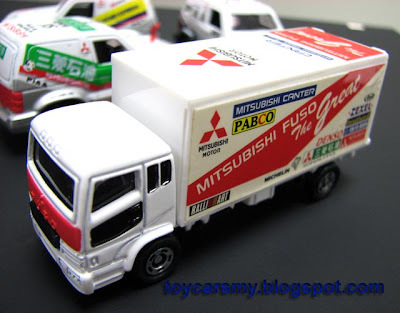 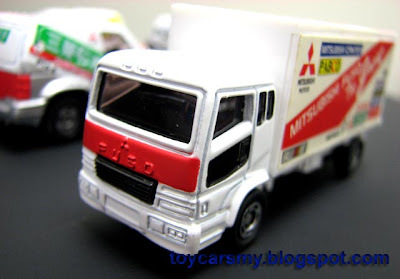 The set contained 3 Pajero from Team PIAA, Mitsubishi Oil and Off Road Express, not to forget a Fuso Canter truck too.